I’m a disability advocate, a person with a disability married to someone with a disability and the parent of someone with a disability. I’ve worked in the field of disabilities for well over 30 years. During that time I’ve seen a lot of changes occur where it comes to how people with disabilities are treated. My family has lived in cities across Ontario. We have experienced transit drivers who have driven past my husband, store staff who do not acknowledge my daughter, and indifference to their needs. We have been ignored, maligned and forgotten. Here in Brantford, we don’t seem to have some of those issues. For the most part, my husband, daughter and I have experienced respect wherever we are in Brantford. Transit drivers will assist my husband (who has a visual impairment) when he is traveling in the city, store staff assists him with purchases and transactions. My daughter is deaf blind. Whether she is with an intervenor, myself, or her grandmother she experiences respect, patience, and understanding during all of her interaction with store staff in Brantford. People of Brantford just seem to understand on a level that we have not seen in other cities. Now, that’s not to say that my hometown is perfect; there’s still a lot to do. Disability awareness in the city is in its infancy. The Access for Ontarians with Disabilities Act has been part of Ontario law for some time. I look around Brantford and still see areas of concern. Older stores in the downtown core have one small step in some cases. That step could make the difference between making a purchase in the store or not. Not every store where we attend has an understanding of the customer service standards that form part of that Act. Customer service staff still do need to be aware of some of the finer points of serving individuals with disabilities. Staffs need to be aware that when someone is acting as a sighted guide for someone with a visual impairment, that the guide is also looking for hazards. It’s important to slow down and always be in eye sight of the guiding person. Information is not always delivered in a way that supports, or posted in a format that is accessible to everyone. Restaurants with menu boards can be difficult to read; when they are cluttered it can be next to impossible. Simple large print menus provide a viable, affordable alternative. These obstacles are not surmountable though. Most of the accommodations that are required by the AODA are affordable and easy to implement. It may be as simple as placing a pad of paper and a pen at a counter so that someone can write their request for the staff. 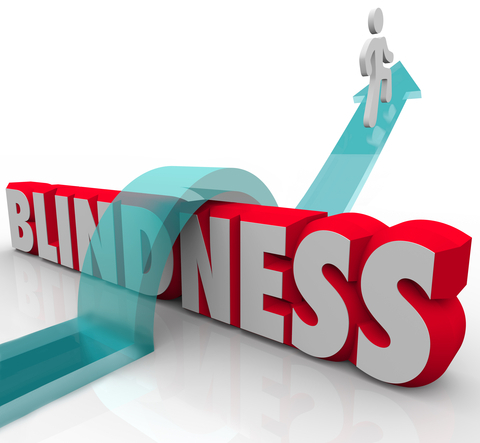 If business owners partner with individuals with impairments, they can begin to understand what’s needed to remove these barriers. I’ve come back home to Brantford after being away for many years. In all the cities we’ve lived in, there were varying degrees of accessibility. Brantford has been excellent thus far, but we still need more. I appreciate Brantford’s sense of civic pride. I’ve seen a city come together to help its own in many other instances. If we can work together again, we can create an accessible Brantford.